B-4/25, Shivala Ghat, Nepali Kothi, Varanasi. ( U.P), India. 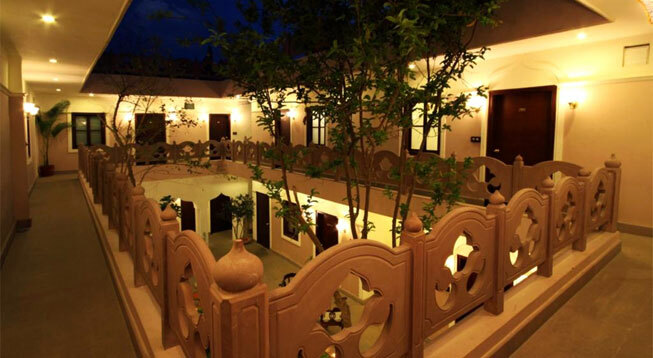 Suryauday Haveli is a 3 star property styled in 20th century which provides the most authentic experience of staying in Varanasi. 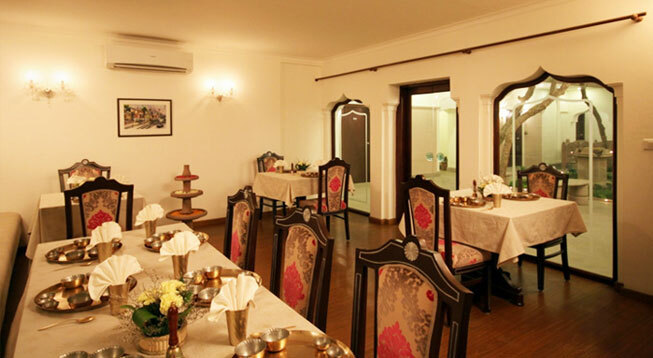 It comprises 14 Standard rooms, Shivala Suite and River View rooms. It stands along the Shivala Ghats which makes it about 15 minute walk away from the Kashi Vishwanath Temple. Every attraction of the city is within 15 minutes distance from this elegant property. Air - Lal Bahadur Shastri International Airport, Babatpur (Varanasi) is the nearest airport from the property with daily flights that connect this holy city to other prime cities of India and abroad. It is about 30 kms from the property. It takes an hour plus 15 minutes boat ride to reach the airport. Rail - The Varanasi Railway Junction is located at a distance of about 06 kms. It takes about 10 minutes drive with 15 minutes boat ride. It is the closest railway station and it receives several express as well as superfast trains which connect it to other prime cities as well as remote regions. Road - The main Varanasi bus stand is located about 07 kms away from the hotel. It takes about 30 minutes to reach the bus stop with 15 minutes drive and 15 minutes boat ride. Private buses and taxis are also easily available at the bus stop.